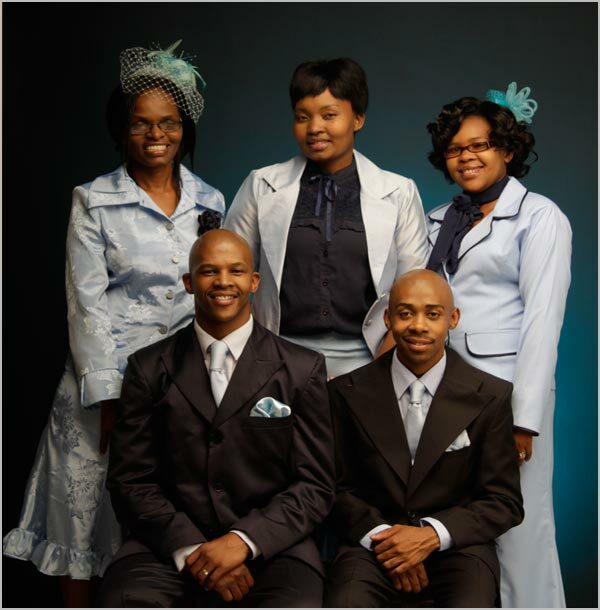 "Soothing melodies" is the best way to describe the gospel music sung by GLORY OF THE LAST DAYS, the group from Vryheid in northern Kwa-Zulu Natal. Mrs. Faith Khanyile is the mentor, the mother and the lead singer of the group. But without the commitment of all the members, this choir would not be where they are today. The group recorded their first album in 2004 under IZINGANE ZOMA. A businessman by the name of Dr Xulu gave them a chance and they recorded the album UYAKHAZIMULA. UYAKHAZIMULA was long awaited. It was embraced by both young and old and it sold more than 25000 copies. For a beginner this was a huge achievement. IN 2005 they released their second album which they called AFRICA BACK TO GOD, again produced by IZINGANE ZOMA. Soon after this release the group decided to branch out on their own. With time they gained strength and popularity. They appeared on several TV shows and received a lot of attention from radio stations across the country. Glory Of The Last Day's rearrangements made a lot of sense to listeners because of the focus on their soothing voices, compared to the shouting style of other artists. In 2007 the group recorded their third album called Umlilo Ongcwele. This time it was much easier for them to promote their work. UMOYA WAM UYAKUDINGA is the title of their album for 2008. This album was hot and was released under a new label, GOLD MUSIC PRODUCTION (Glory of the Last Days). GLORY OF THE LAST DAYS, under the Directorship of Mrs. Faith Khanyile, enjoys invitations from South Africa, Swaziland, Botswana and the whole SADC Region. The group has big dreams. They regard their music as unique and powerful, music that touches the soul. And so to 2011 and the release of their brilliant new album NGIZOLIBONGA, which became a strong seller.